This is a gorgeous rustic long length beaded necklace. 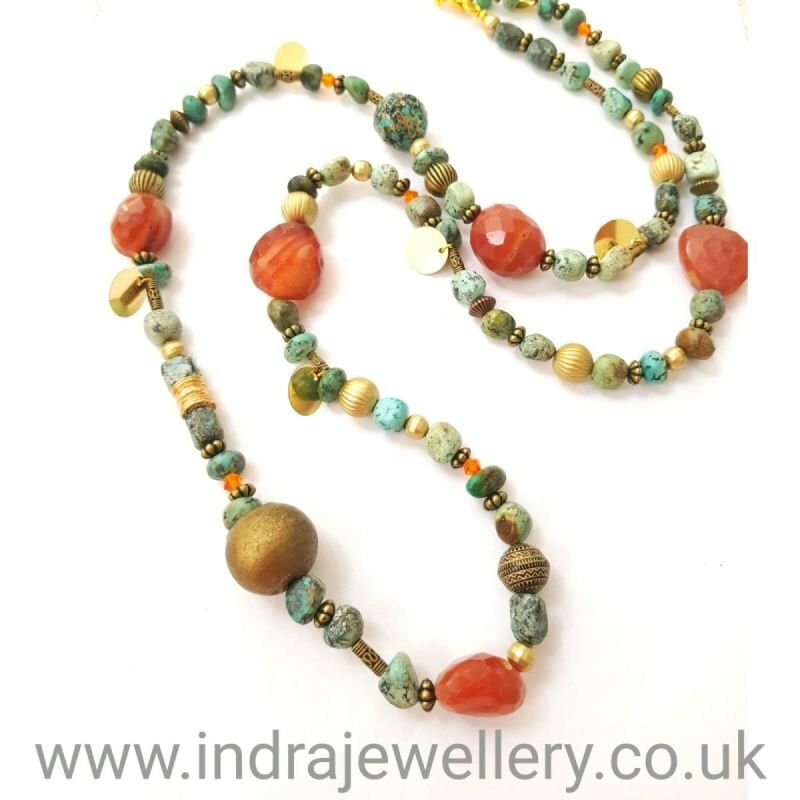 I have used a mix of genuine untreated turquoise gemstone beads alongside faceted cut carnelian chunks which compliment each other beautifully and finished the necklace with some little orange bicone beads and a mix of gold/ bronze spacer beads. This truly is a gemstone lovers must have accessory! This is a long length necklace and measures 32" it is finished with a lobster clasp. Turquoise, the "Stone of Healing," is blue-green sage in color. It is a bridge to higher consciousness while healing your body, mind and spirit by elevating your chakras. It induces wisdom and allows you to accept the present wholeheartedly and Carnelian the "Stone of Grounding," is crimson orange-red in color. It shields you from fear and anxiety and encourages a stress-free state of bliss. Carnelian is used for clearing energy to bring about a state of peace and euphoria to your soul.